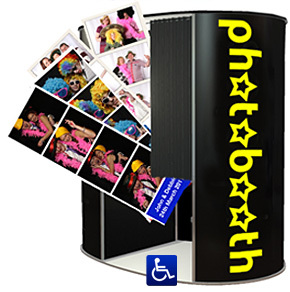 Fun Party Photo Booths for your Company Christmas party in Leeds, York, Harrogate, Bradford, Wakefield, Castleford, Pontefract, Dewsbury, Barnsley, Huddersfield, Halifax, Sheffield and surrounding areas. Photo Booths are great entertainment for company Christmas parties guaranteed to help break the ice and get people talking. 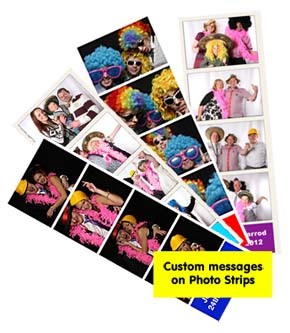 Colleagues and clients can let there hair down and have some fun in our fantastic photo booth. A terrific way to promote lasting relationships and have a party to remember at the same time. Combined photographer and photo booth packages available. We have a full range of options to personalise our booths to your Company Christmas party. Please send me details of your Fun Photo Booth Hire for Company Christmas parties. Fun Party Photo Booths for your Company Christmas party in Leeds, Harrogate, York, Bradford, Wakefield, Barnsley, Castleford, Pontefract Dewsbury, Halifax, Huddersfield, Sheffield and surrounding areas.